Acciona Energy is looking to build a wind farm on the Southern Downs. A SECOND Southern Downs wind farm is on the cards, with one of the world's largest renewable energy providers looking at the region. Acciona Energy submitted plans to the Southern Downs Regional Council to build two meteorological measurement towers. One is planned for Alum Rock Rd and the second at 1450 Goldfields Rd. Both are a few kilometres west of Passchendaele State Forest. These towers will collect data to be used to determine both the viability and number of towers for each site. An Accicona spokesman said the process had just started. 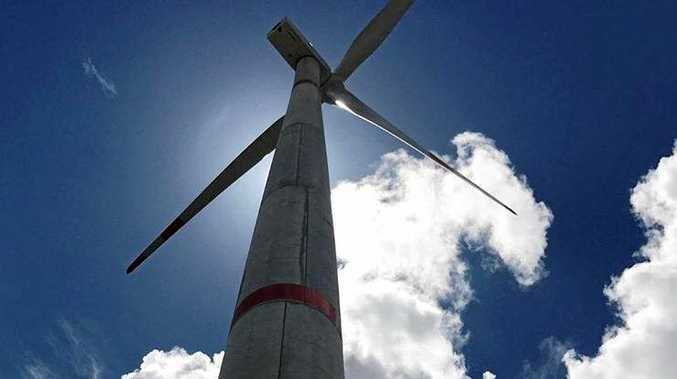 "We have submitted development applications for meteorological measurement towers at a potential wind farm site in the Warwick area," he said. "While it's still early days, we expect to begin community consultation activities on the project in around six months' time." Acciona Energy is one of the largest clean energy producers in the world, operating wind and hydrological power plants in 40 countries. It also builds and maintains water treatment facilities, light rail and transport infrastructure. The project will follow a similar wind farm currently under construction at Rabbit Ridge, near Dalveen. It took three years for the Rabbit Ridge wind farm to get approval from the Southern Downs Regional Council, after more 50 objections were lodged by farmers and residents living nearby. That project was projected to cost about $40 million to build and employ about 30 workers during the construction phases.